We’re all struggling to steer clear of too much sugar in our diet, but there’s no reason we shouldn’t have it in our beauty routine! Its actually a pretty sweet deal when it comes to skincare. The Egyptians & Brazilian used it for hair removal, but these days it’s most popular as an amazing exfoliant and moisturizer. Sugar is a great source of glycolic acid. This chemical, along with the rough texture of sugar, is an amazing topical exfoliant. It dissolves the substance that binds cells, making it easier to remove the surface of the skin. This promotes higher cell turnover, so younger, smoother skin gets to reach the surface. In 1998, Fresh released their first Sugar scrub and it swept the nation. Brown sugar is just a less refined version of white sugar, so feel free to incorporate either version in your beauty routine. 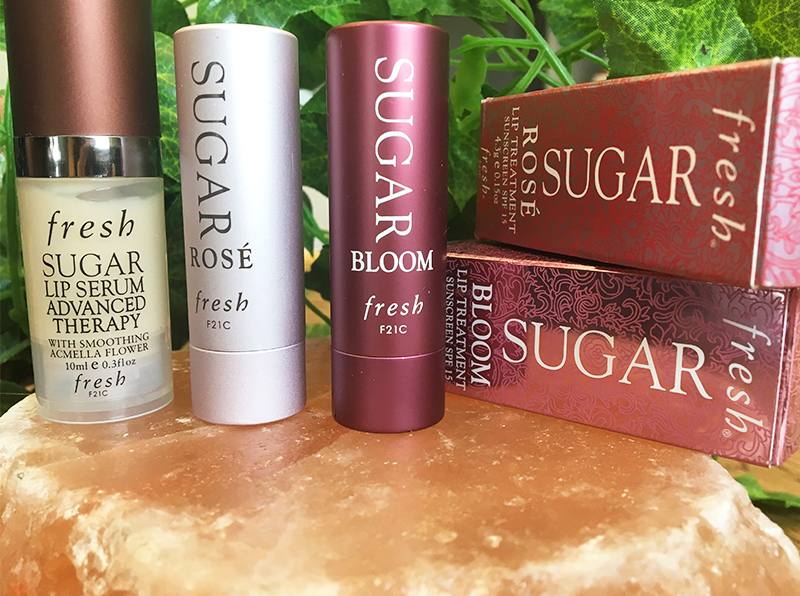 Fresh’s Sugar lip treatments have become a cult favorite because they are the softest in the game. Sugar is a natural humectant, meaning it holds on to moisture. (Fun fact: That’s why you bloat when you eat lots of carbs!) So once you swipe these babies on, your lip moisture isn’t going anywhere for at least a few hours. Hair treatments with natural sugars are also great to retain moisture and shine. I love this brand. The lip moisturizer is my favorite.